Get your hot chocolate and coneys all in one stop! One of the fabulous staples of Cincinnati, Camp Washington Chili has been serving up classic chili and spaghetti dishes since 1940. Also known for their double-decker sandwiches, this 24/6 diner offers up a tall cup of cocoa to keep you warm long after you finish your Three Way. 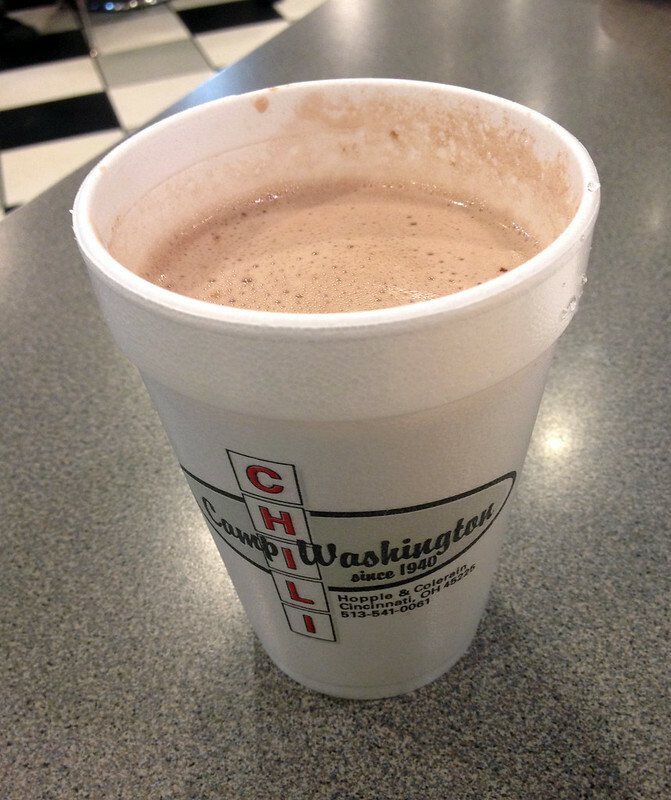 A no-frills beverage, Camp Washington's hot chocolate comes in their signature styrofoam cup and is made with hot water and milk chocolate. Thin to the taste but large in portion, this cocoa is great to knab if you're in a hurry or are craving the beverage at all hours of the night.